Thank you all for your hard work this term and to your parents and carers for their support. Over the holiday please can you spend sometime making sure that you know all the year 3/4 spellings and most of the year 5/6 words. Please can you also look at your times tables and learn the percentage/fraction/decimal chart. After the holiday we will be supporting year 6 with their performance. The words to the songs are in your packs, if possible take a look and try to learn them. 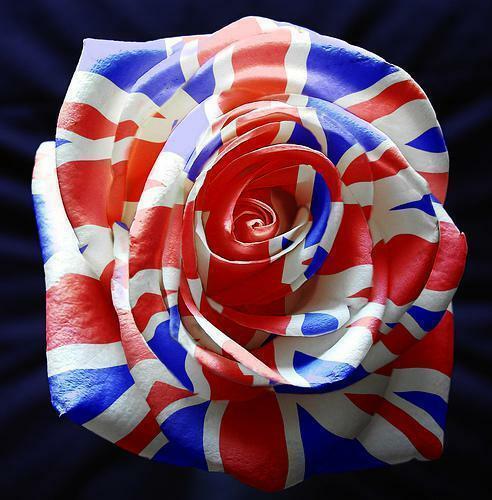 We have been celebrating the Queen's birthday by doing lots of great activities. We spent the first part of the morning learning about the Queen's life and looking back over her reign. In recognition, we completed two activities. The first was to complete a piece of artwork based on, 'The Queen's Hat,' by Steve Antony and 'The London Skyline,' by Stephen Wiltshire. Stephen Wiltshire is a famous artist who has a photographic memory. Having circled around London in a helicopter, he drew the London skyline in fine detail from memory. Our second activity was to make a cake as a tribute to The Queen using the Union Jack colours in red, white and blue. After a picnic lunch outside we enjoyed a disco and an opportunity to play some old fashioned games. Year 5 enjoying a day of celebrations. Year 5 Residential to Malham to learn about the limestone geogrpahy of the area ... cold, but fun! Gospel singing, we have been learning a new song ready for our performance on the 6th July at the Liverpool Anglican Cathedral. Make sure to keep your diary free! I was delighted to see and read your fantastic descriptive stories. Well done, Mrs Smith. Bikeability is great fun! We have been learning new skills and learning how to stay safe. Here are the spellings for this half term. You will see that they are split up into weeks for you to make learning them easier. Spelling tests will be on Friday mornings - so please make sure you have your spelling books in school then. Also, please make sure you also learn any common words you know you misspell in your work, or Y3/Y4 words you have been asked to learn too. Our science topic for this half term is Properties of Materials and you can download details of the topic homework here. Your project is due in on Tuesday 17th May 2016. We will be sharing your research about all the amazing scientists and their useful inventions. This term we are thinking about welcoming our new 'buddies' into their new school. We will be writing to them soon to introduce ourselves and invite them to our Teddy Bear's picnic which will take place in July. ​First, we are learning how to write a good biography. Did you know that on 23rd April, 400 years ago, William Shakespeare died? You can find out interesting facts about William Shakespeare on the PowerPoint on our Class Page ... and you will be able to read some of our biographies too! 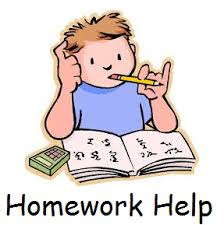 Please find below some useful links to help your child with their homework (this will be updated as we go through the year). These have sections to read through to help understand different terminology we use in the classroom and some games you can play alongside your child to help them grasp content e.g. punctuation for grammar (GAPS). I hope these are helpful. If they do not open properly e.g. on tablets, or you would like further guidance please either write in your child's homework diary or feel free to see me after school. Well done for your auditions with A Midsummer Night's Dream this afternoon Year 5, you were all brilliant. The cast has been decided and the script will be uploaded tomorrow so check it out. This will be part of an afternoon to show parents your topic homework and Kodu projects as well. (Letter to be released after the holidays). The script will help support our grammar work in English lessons and one of our extended writes as we explore this story from Shakespeare more in class. One part is being slightly adapted due to both parts appearing at the same time so check the cast list again before you practise. Have a lovely half term holidays! Have a look at our choir positions to see our positions for both songs. The steps are longer in the courtroom scene so we may have to stretch out right across the back 2 steps as shaded on the diagram if the cast need further space. We will quickly re-cap our positions tomorrow so if we do for some reason need to use 2 steps, we can go to them. Also you will be put into your card suit groups when we arrive at St George's Hall. The White Rabbit is rushing to St George's Hall in Liverpool ready for the Alice Experience to make sure he isn't late for Year 5's performance. Who else is excited? Well what an egg-cellent time we've had in your class! We have been visited by different classes and have gone around lots of new and egg-citing places. Our feathers are coming through now and we're growing into big chicks. We are going back on Friday to tell the other chicks what a lovely time we've had at St. Matthews. We are now having a well deserved rest in Class 5; so we will stay in our corner in the classroom until we get picked up on Friday. All the children across the school have shown respect and responsibility in making sure we are looked after; showing love and friendship all the time. I'm sure there will be lots of photos put on here to keep as memories. Year 5 has been so excited. Yesterday morning we had our first chick and came in this morning to find 5 more had hatched. Now the final chick has hatched this afternoon after school. We now have 7 chicks! We will be investigating the life cycle of birds as part of our science topic. What an EGG-citing opportunity for us to study them in class. Our first chick has hatched 11:15 am. Spring Term 1: Welcome back Year 5...Happy New Year! Welcome back Year 5, I hope you have all had a fabulous Christmas time with family and friends and are feeling refreshed ready to start your first term of 2016! We will also be having special visitors very soon in Year 5; how exciting! Please find a copy of your spelling lists below for the whole of Spring 1 ready for you to practise. Our Curriculum Newsletter as well will be going up very soon. Our new topic is called 'Brilliant Britain'- we will be looking at our history, geography and culture both in the past and present. I have a very exciting English topic planned too. In science, we will be looking at life cycles of both plants and animals; perfect for the spring term. We arrived at Sandymoor School and Mr Kerr took us down to the computing room. Once we had settled down he showed us a group of children making and creating different games using Kodu. Kodu is a programing software letting children create their own video games. We got our first experience on other pupil’s tutorials. We learnt how to decorate, go through mazes, programing characters and many more. Then we started making our own worlds. We put in terrain and water as well as optional things like trees and apples. Then we added in our own characters and programed. We also changed the colours and sizes. It was really fun and we can’t wait to do more next week. Last week year 5 went to Sandymoor to do computing lessons with Mr Karr using a software called Kodu, a programming website. Last week we were creating are own world by creating land and then creating a quest for our character. You could build whatever you like and add in anything you wanted. You could change the colour of your character and change the colour of land and the pattern as well. We had to fill out a sheet and explain what all the tools were and what they did and meant. There were six boxes to complete and when we all finished we started on our own world’s, creating objectives for our characters. When it was getting to the end we all saved what we had created we also had time to look at what other people had done. We also were allowed to magpie their ideas for our worlds. Then we logged off the computers and headed back to school. Over all the lessons so far have been great and year 5 have thoroughly enjoyed them. This half term is all about Space and superheroes; not just in comic books, but heroes around us. Family members, friends, people in our community that inspire us everyday. It is almost the half term. Over half term, I have some activities for you to prepare ready for our new topic. It will be very exciting and will help you in lessons. Keep an eye on this page ready for any information and resources/ links that you may need. Remember to keep reading every night, and to have your homework diary signed. P.E. will be every Wednesday afternoon and Friday afternoon (with Dave). Make sure you have your P.E. kits in for these days. This half term homework will be given out every Wednesday and will be due in every Monday morning for me to mark and return. Spelling tests will be every Friday. Remember to keep practicing your spellings each week. Year 5 have started their Gospel singing project with Mel. We will be doing this every Wednesday morning in the hall. We looked at some traditional gospel songs and I have to say, I was very impressed with the quality of our voices. Recommended Reading Books This website has recommended reading books you might like to try!